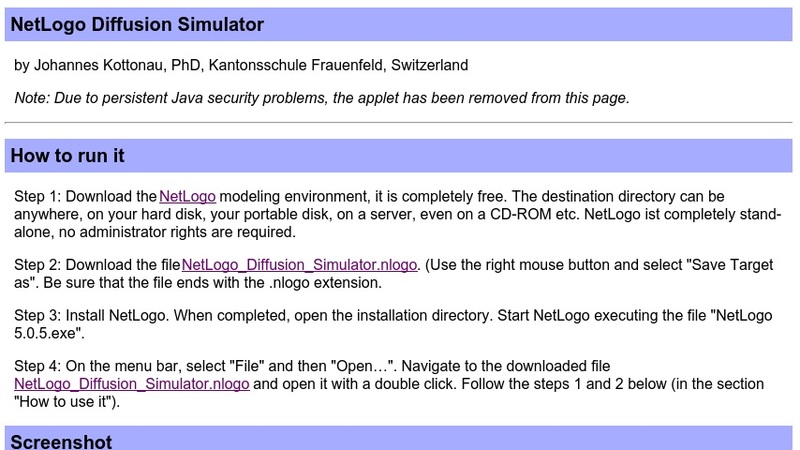 Java applet of an agent-based simulation built in NetLogo. This applet simulates the gaseous diffusion of perfume molecules. The interface provides various means of measuring and tracking the diffusion process.